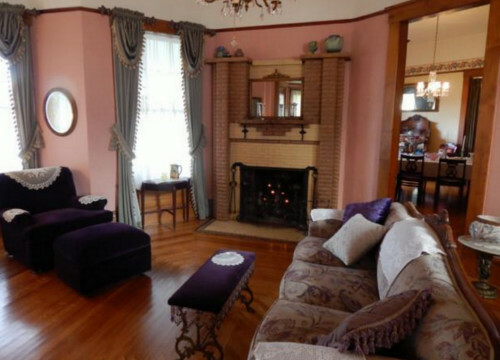 Set on a sprawling one and a half acre of manicured lawn overlooking Downtown Mythic Wood is a luxurious Victorian home. Since Mythic Wood was founded, the city has provided a house to each elected mayor and their families. And as a small plaque set into the wall near the door states, the mayors of the city have lived here since 1945. 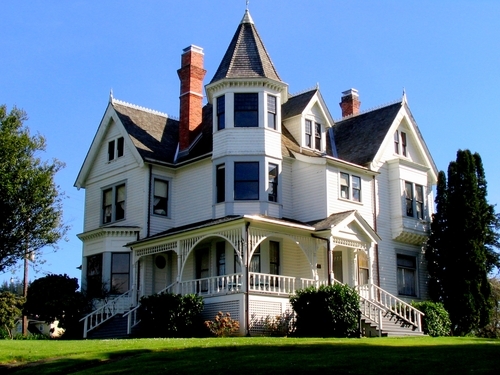 It boasts a wrap-around porch and a tall spire of bay windows extending all three stories up its side. The white exterior walls appear recently painted with pale blue trimmings around its many double hung windows. Its dark composition roof with sharp angles appears just as well maintained. 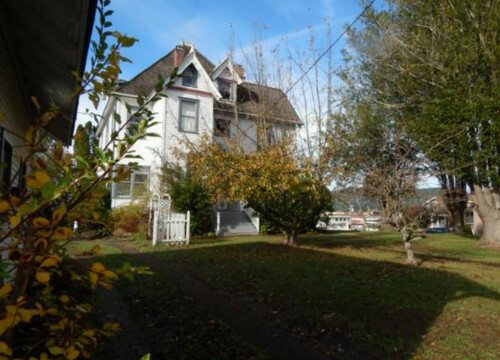 In addition to an attached garage on the north side, it also offers RV parking and hookups, and even a carriage house for guests. The fenced split backyard includes a fair number of oak and maple trees, offering shade in the summer and dazzling color in the fall. Along the street, baskets of flowers hang from lamps with seasonal banners that all have Mythic Wood and Elm St emblazoned upon them. The lamps provide illumination well after dusk. This residence offers two stories of luxurious living space in addition to both a finished basement and attic. Across two parlors, a formal dining room, butler’s pantry, and the mayor’s office, cherrywood floors gleam under a fresh waxing, except for where fine rugs conceal them. The walls bear a fresh coat of paint in tasteful pastels with pale turquoise curtains hanging from the expansive windows. 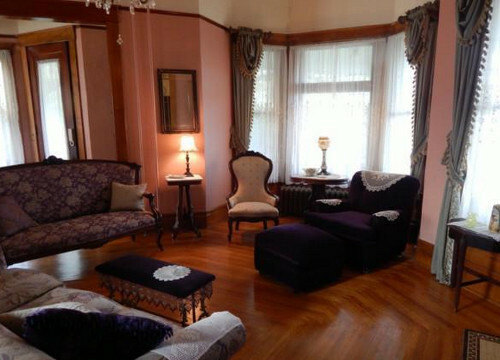 Antique furniture of floral brocades and rich velvets cluster around fireplaces and polished coffee tables. 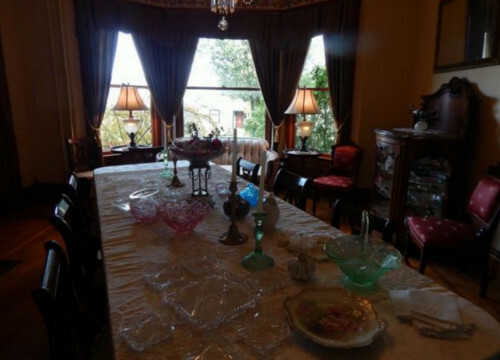 The dining room provides seating for at least six guests at a table bearing a white-lace tablecloth. 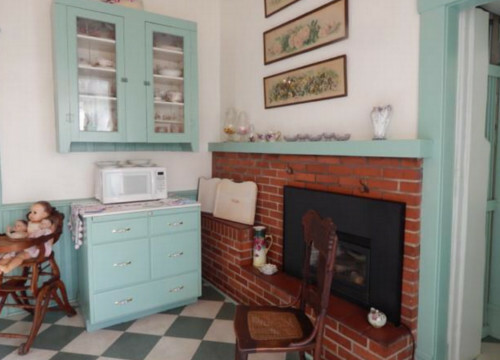 The kitchen sports a dated yet well-maintained diamond-pattern of linoleum in turquoise and white. 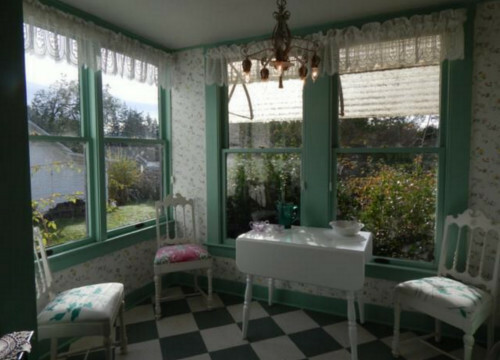 The cabinets and window trimmings in the breakfast nook all bear a complementary shade of pale turquoise paint. 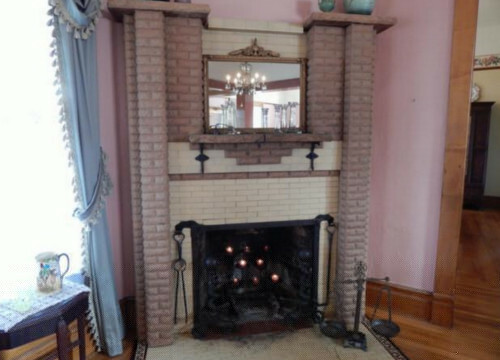 An enormous brick fireplace takes up much of one of the kitchen walls. 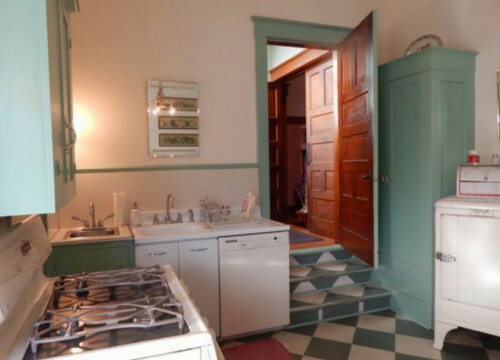 In addition to fresh, white appliances, it includes an antique icebox. 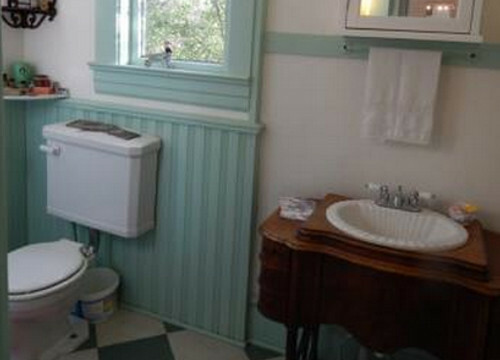 On the ground floor, the bathroom includes a sink set into an antique wooden pedestal. But elsewhere in the house, the kitchens have been updated with more modern fixtures. In place of a bathtub with clawed feet, an updated shower has been installed. 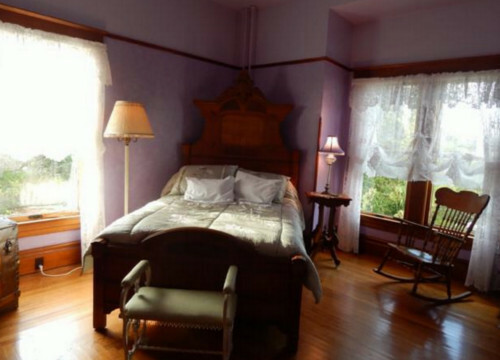 The upstairs includes four bedrooms, each furnished with the finest antique furnishings. Sheer white curtains hang from the tall windows overlooking the grounds. Baseboard heaters provide most of the warmth on cooler nights, but the master bedroom and the large bedroom include brick fireplaces. 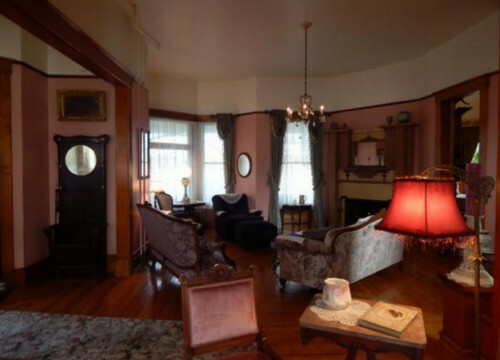 At the end of the upstairs hall, stairs lead to an attic, which serves as a playroom for whatever children have occupied the home over the years. The master bedroom has enough space for a king sized bed with pretty good size walkway of a thick brown wall to wall carpet. A walk-in closet is separated from the main area by accordion style doors. 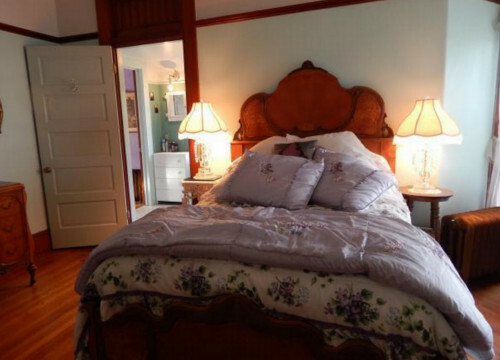 If a smaller sized bed or much smaller multiple beds were in place, there would be plenty of space for a dresser, vanity, entertainment center, those sort of things along the whitewashed walls. 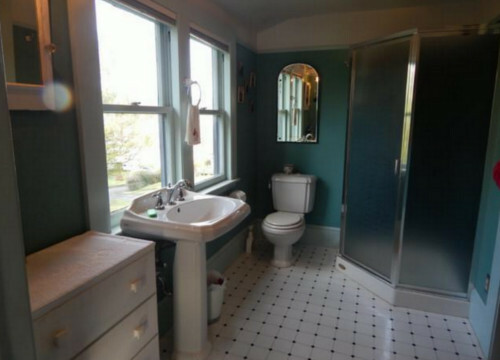 On the opposite side of the room from the walk-in closet is an en-suite full bathroom. The large bedroom has enough space for a queen sized bed with pretty good size walkway of a Berber beige wall to wall carpet. A walk-in closet is separated from the main area by accordion style doors. 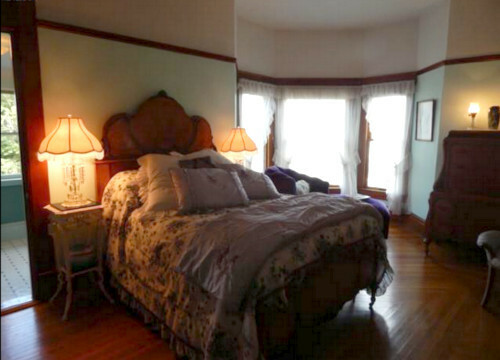 If a smaller sized bed or much smaller multiple beds were in place, there would be plenty of space for a dresser, vanity, entertainment center, those sort of things along the whitewashed walls. The small bedroom has enough space for a full-sized bed with pretty good size walkway of a Berber beige wall to wall carpet. There is no closet in this room, but if a smaller sized bed or much smaller multiple beds were in place, there would be plenty of space for a dresser, vanity, entertainment center, those sort of things along the whitewashed walls. The large office has enough space for an executive's desk with pretty good size walkway of a Berber beige wall to wall carpet. Plenty of space surrounding the desk for shelves, filing cabinets, storage nooks, entertainment center, those sort of things along the whitewashed walls. He moved into this house in 1998 when he was first elected mayor. The house seems so empty to him now that his wife has passed and Pamela only stays the night when she wishes to. Often crashing at her studio in Dogwood Apartments. Pamela only stays the night when she wishes to. Often crashing at her studio in 4th Street Apartments.